ELCA Research and Evaluation shows pastors are retiring in record numbers, and there has been a sharp decrease in seminary enrollment. The result is a shortage of ministers—a growing problem. 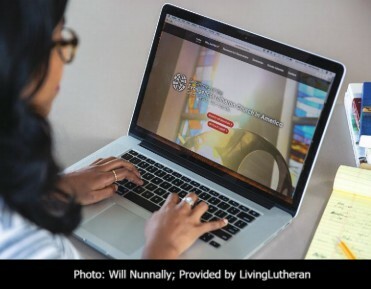 To help stem that tide, the seven ELCA seminaries are now working together through a new website designed to enlarge the pool of qualified candidates prepared to answer a call to ministry. Through grants from the Richard Hay Barkalow Charitable Fund at InFaith Community Foundation, elcaseminaries.org launched this past summer. “We want to see the pool of candidates for ministry increase to meet the needs of the church and God’s mission in the world,” said Matthew O’Rear, assistant to the president for strategic initiatives at Wartburg Theological Seminary, Dubuque, Iowa. O’Rear is also the executive director of the ELCA seminaries’ InFaith grant. Lutheran Theological Southern Seminary, Columbia, S.C.
Pacific Lutheran Theological Seminary, Berkeley, Calif. Article published by permission of Living Lutheran. Click here to access the full article. To read more about The Dr. Richard Barkalow Charitable Seminary Fund at InFaith Community Foundation, click here. Jay Saunders has more than 20 years’ experience writing for TV, newspapers and magazines. He is a member of Fox Point (Wis.) Lutheran Church.